My name is Janice Powell and on Sunday I ran the 14km Okaihau Traverse. I would just like to convey my gratitude to all the members of Kaikohe Rotary who co-ordinated the return of my lost car key to me. It was found on the bus. It was an enjoyable event and I'll be back again next year. Thank you once again, you were all very kind. A big thank you to all of those involved with the Rotary Club of Kaikohe for today's Okaihau to Kaikohe traverse. Very successful, well organised and locally supported event. Cathy Beazley via Facebook. Link to a notice about the Devonport Rotary Fine Homes Tour - 16 October. Link to Rotary Weekly - 25 September 2015. Link to Rotary Young Leaders in Action - September 2015. Last week our guest speaker was Linda Bracken. Linda is a local who went to Ohaeawai School, Northland College and Massey University. 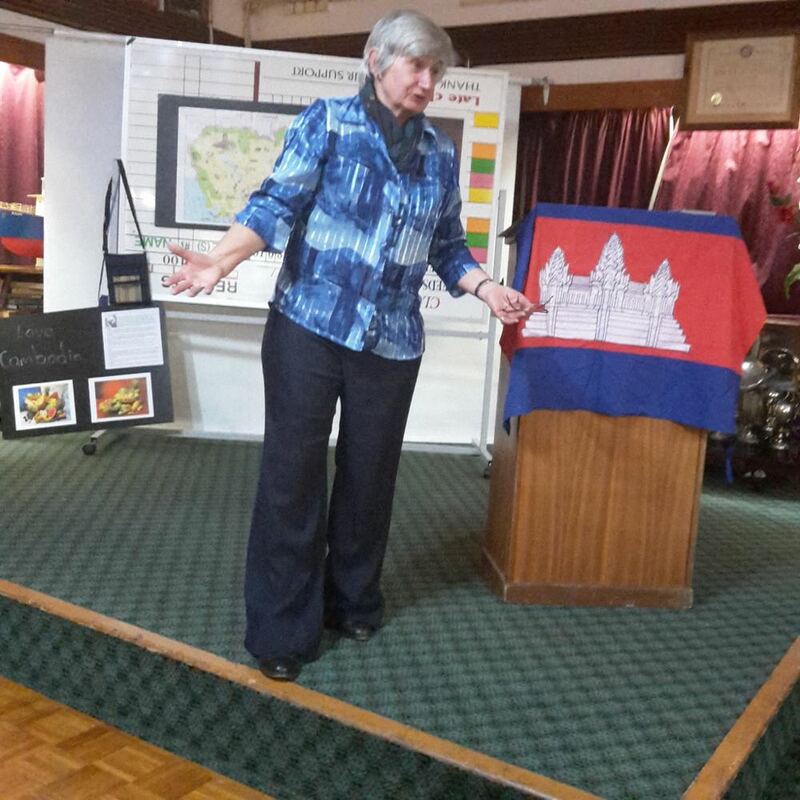 Between 1996 and 2001 Linda spent almost five years in Cambodia working for a Christian aid organisation. Even though it was 17 years since the Khmer Rouge had overthrown when Linda arrived in Cambodia, the devastation wrought by the Killing Fields in which an estimated 2 million Cambodians had died was still evident. Families had been decimated and a whole generation almost wiped out. Cambodia was a country of appalling poverty, while the landmines left over from successive wars meant more than one in 10 of the population was an amputee. Despite poverty and endemic corruption, Linda and her colleagues worked out to relieve suffering, especially among children who had become orphans. But the belief in karma (the natural order of things) meant efforts to help were not always appreciated. Linda said the although the physical scars from the Khmer Rouge period of rule were slowly disappearing, the psychological scars will be there for generations.